mommy's reviews: Creative Ways to Tell Your Family You Are Pregnant! Creative Ways to Tell Your Family You Are Pregnant! Ever since Greg and I have been married, we have wanted children. We waited a year before trying to get pregnant with our first baby and it only took a month of trying. 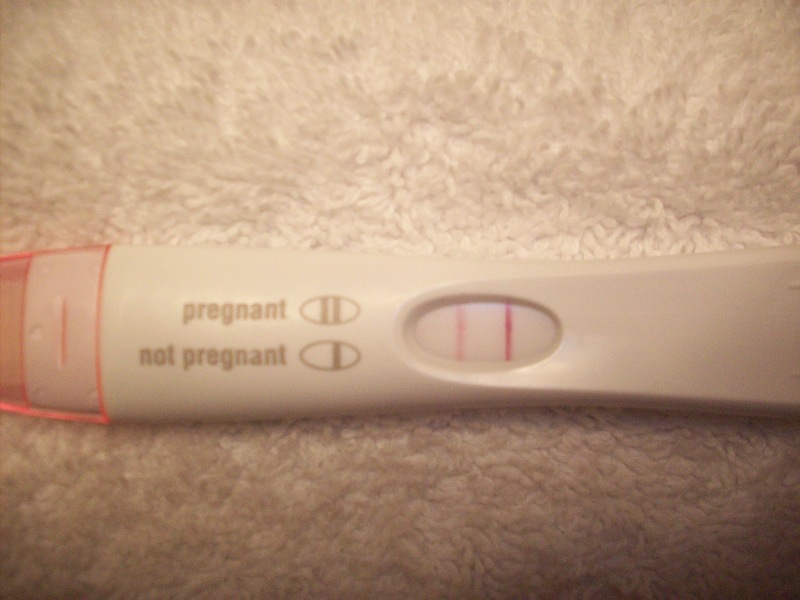 I remember taking that pregnancy test and the thrill I felt deep in my heart when it was positive. The month was December and we were a few days away from Christmas. It was about six in the morning and I was getting ready for work. I took the test and when I saw the plus sign, I snapped a picture of the test with my phone and ran in to show hubby (who was snoozing peacefully). His response was typical of him..."Oh wow." He really was excited, it just had not hit him yet. So, the fun began of trying to figure out how to tell our families. It would have been interesting to go to a flower shop indianapolis to purchase flowers and somehow tell them that way, don't you think? We scratched the flower idea and instead, thought about the idea of buying a piece of baby clothing so we ended up buying baby hats and wrapping them up for Christmas for our moms. Boy, were they surprised!!! 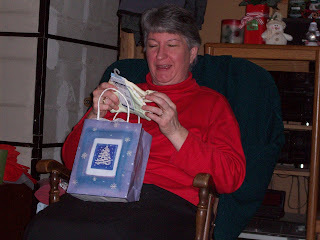 My mom finding out she was going to be a grandma! Fast forward to several years later. Our daughter had just turned one and we found out a month after her first birthday that we were expecting our second baby. So, the planning about how to tell our families began once again. This is SO MUCH FUN!! I needed to be a bit more creative as they already knew how we announced our first pregnancy. What I did this time was to buy a plain onesie for Hannah. 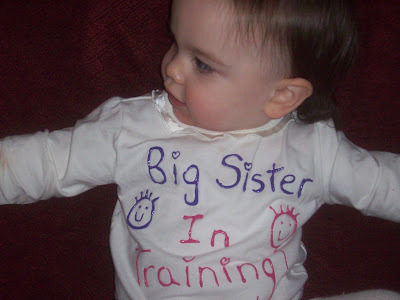 Then, I used fabric paint and wrote "Big Sister In Training!" on the front. I had to keep this pregnancy a secret for awhile as we didn't want to tell the family until Thanksgiving. So, as tradition has it, on Thanksgiving day before we eat our meal, we go around the table and every one tells what they are thankful for. When it got to Hannah's turn, I stood up and unbuttoned her jumper. No one could figure out what I was doing until they saw her shirt. WOW. It was SO fun!! Then, last year in August we found out we were expecting our third blessing. Oh boy. How were we going to reveal our good news now??? I was once again forced to be a bit creative and here is what we did. We were invited to my mom's house for Sunday dinner and my mom had just returned from a three week vacation out west. I was horribly sick with this pregnancy and just couldn't keep it secret any longer. So, we went to the store before going to mom's house and purchased a huge bouquet of fall colored flowers. Then, I got a cute baby card and put a sonogram picture inside. My mom had NO CLUE. She opened the card and when she saw the picture, she was so thrilled! What an amazing feeling it is to surprise your family with news of a new baby. This is a sponsored post for Andrew’s Florist, however, all the points and views are my own.